The beauty of natural stone never goes out of style. Now, with luxury vinyl, you can get the realistic look of slate, marble, travertine, quartz and limestone but in a more forgiving surface. 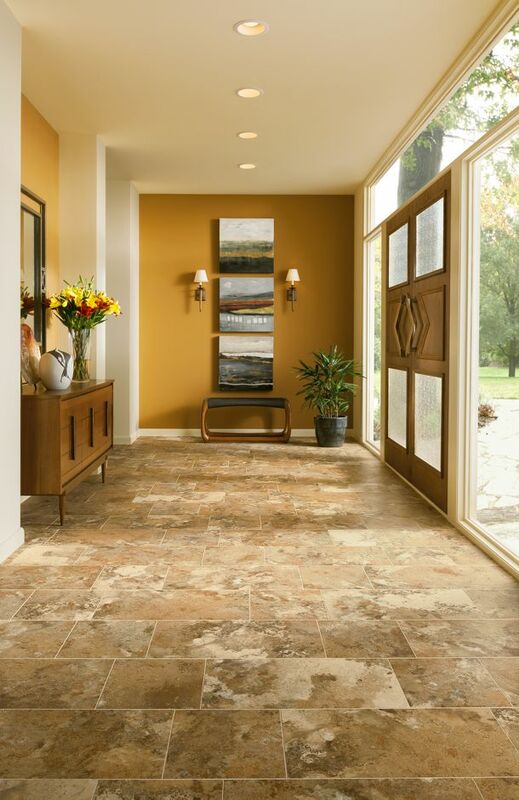 Unlike the cold, hard surface of stone, luxury vinyl floors are warmer and more comfortable underfoot. In addition, vinyl is more tolerant of drops and spills and a protective top layer resists wear and stains for years, making it perfect for families with children or pets.